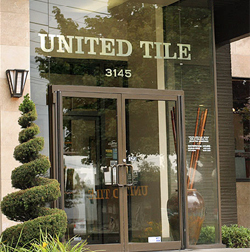 United Tile has offered the most comprehensive and creative selection of tile and stone products in the Northwest. Our products are found throughout the region at quality flooring and tile retailers. Four United Tile showrooms (Seattle, Everett, Portland and Bend) serve the design community and public through our professional, knowledgeable and helpful design staff. We were recently named the "Best Professional Design Center" by the Home Builders Association of Metropolitan Portland. As a wholesale distributor of premium stone, ceramic, porcelain, metal, glass and leather tile, we pride ourselves in providing service equal to the amazing selection of products we offer.